Traditional grammar identifies eight parts of speech in the English language, namely: verb, noun, pronoun, adjective, adverb, preposition, conjunction and interjection. Each part has a function within a sentence; the function each part of speech serves identifies what part of speech it is. 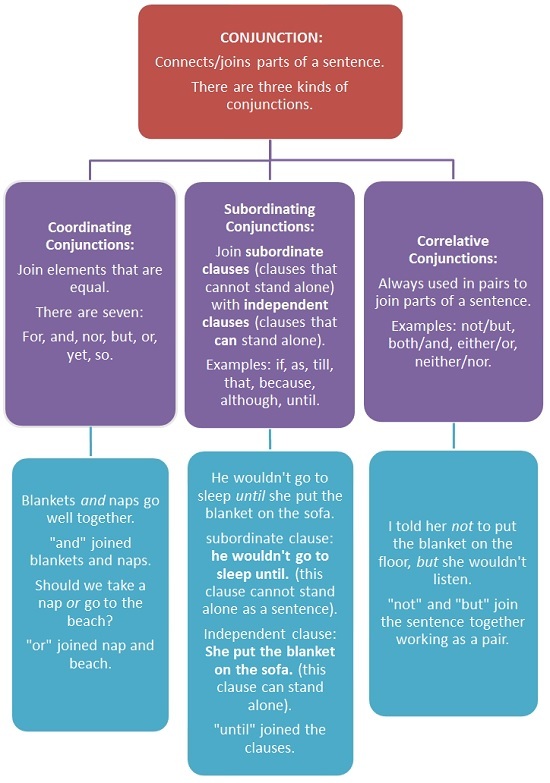 Each part connects to the other in some way to form sentences with meaning and which are grammatically correct. 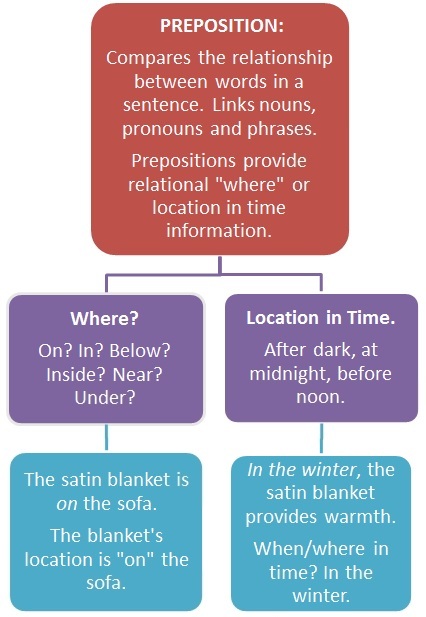 This quick reference does not cover the multitude of grammatical rules of the English language as it pertains to the parts of speech; however, it is a great summary and starting point for future lessons. Don't worry about memorizing every detail in the flowcharts below; we will go over specific details later in the course. The finer points of verbs include the following information. The last types of verbs are Helping Verbs . There are twenty-three helping verbs. Their sole purpose is to help action verbs and linking verbs. 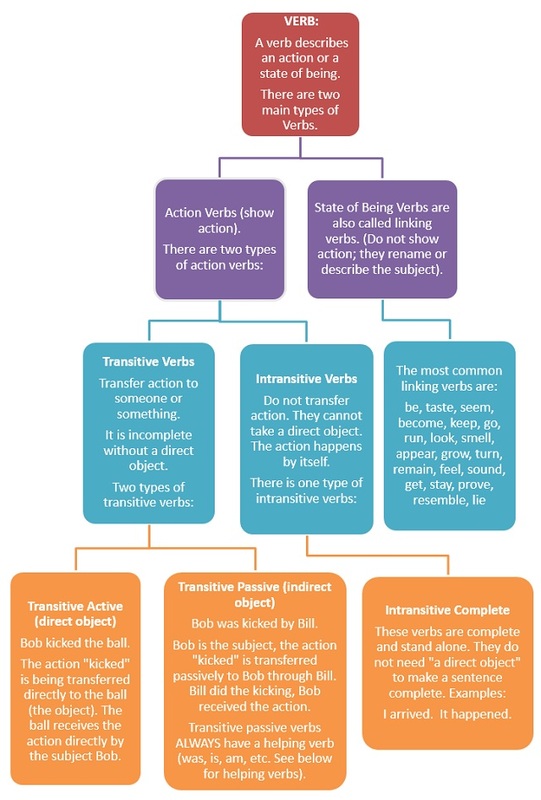 Transitive passive verbs ALWAYS need a helping verb to make a sentence complete. If you can, try to memorize them. be, am, is, are, was, were, been, being, have, has, had, could, should, would, may, might, must, shall, can, will, do, did, does. The ball will be kicked by Bob. (Transitive passive). The helping verb will is helping kicked; without the action verb kicked, the helping verb will has no clear meaning. Without willthe sentence would read: The ball be kicked by Bob. Bob was kicked by Bill. (Transitive passive). The helping verb was is helping kicked in this sentence too. Without it, the sentence would make no sense. Without was the sentence would read: Bob kicked by Bill. The action verb kicked can stand alone: Bob kicked Bill. The linking verb stay can stand alone: Bob stay here. The helping verb was cannot stand alone: Bob was. 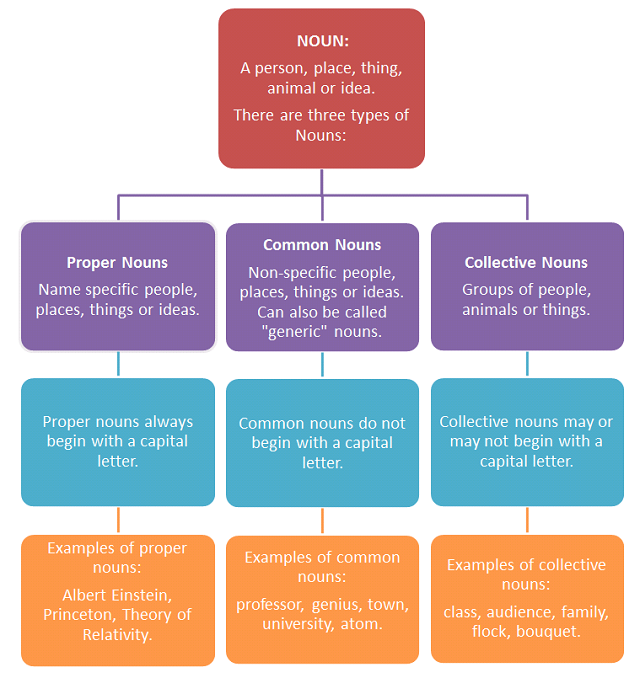 Here are the finer points of nouns and a few rules to learn and memorize. Singular versus Plural nouns. Singular nouns name one thing. Plural nouns name more than one thing. Most singular nouns can be made plural just by adding an s at the end. Examples: towns, students, flocks, bouquets, ships, cats, flags, pens, dogs, apples, and others. Here are the exceptions to adding an s at the end of a noun to make it plural. If the noun ends with s, ch, sh, x, or z, then add es to make it plural. Examples: waitress = waitresses, witch=witches, dish=dishes, fox=foxes, and buzz=buzzes. If the noun ends with y and the preceding letter is a consonant, not a vowel, remove the y and add ies to make it plural. Examples: Sky=skies, fly=flies, and try=tries. Calf, half, knife, life, wife, elf, self, shelf, leaf, sheaf, thief, loaf, and wolf. Calves, halves, knives, lives, wives, elves, selves, shelves, leaves, sheaves, thieves, loaves, and wolves. Dwarf, hoof, scarf, and wharf. Dwarf=dwarfs or dwarves, hoof=hoofs or hooves, scarf=scarfs or scarves, and wharf=wharfs or wharves. Either plural form is proper and correct. A concrete noun is a noun that you can take in with the five senses (sight, sound, touch, taste, or smell). An abstract noun or idea noun is something that cannot be observed by the five senses. Concrete noun examples are: steak, perfume, computer, eggs, apples, phone, sun, breeze, rain, snow, and others. Abstract or idea noun examples are: love, trust, value, bravery, understanding, empathy, knowledge, and kindness. If you are uncertain whether the noun is concrete or abstract, just ask yourself, "Can I touch, see, hear, taste, or smell this?" If so then it is a concrete noun; if not, then it is an abstract noun. The finer points of adjectives are presented below. Articles. Articles are a special type of adjective. They are determiners in that they determine the definiteness and specificity of the noun they precede. There are only three articles: the, a, an. The book, the apple, and the knowledge. A book, an apple, a knowledge. Proper adjectives. Adjectives that answer the descriptive question, "What kind?" and are also proper names, should be capitalized the same way that proper nouns are capitalized. American values, French toast, Italian bread, and Shakespearian play. Positives, Comparatives, Superlatives. These refer to the degree or level of the adjective, or are used to compare adjectives. In addition to degree or level, comparatives are used to compare two things. Scott is nicer than Richard. 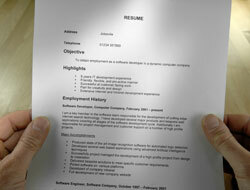 In addition to degree or level, superlatives are used to compare three or more things. Scott is the smartest person in the school. The finer points of adverbs follow. 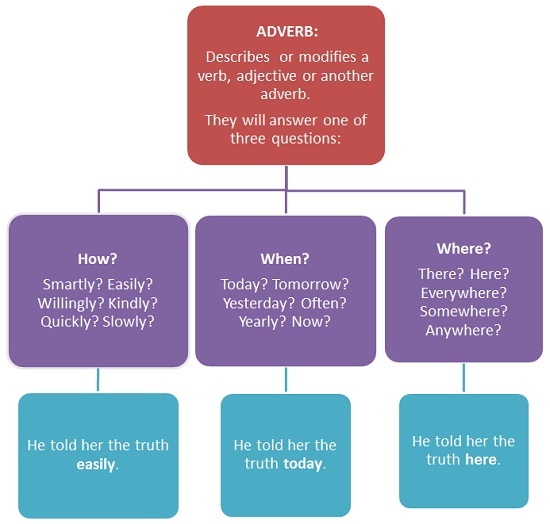 Adverbs modify or describe verbs, adjectives, or another adverb. 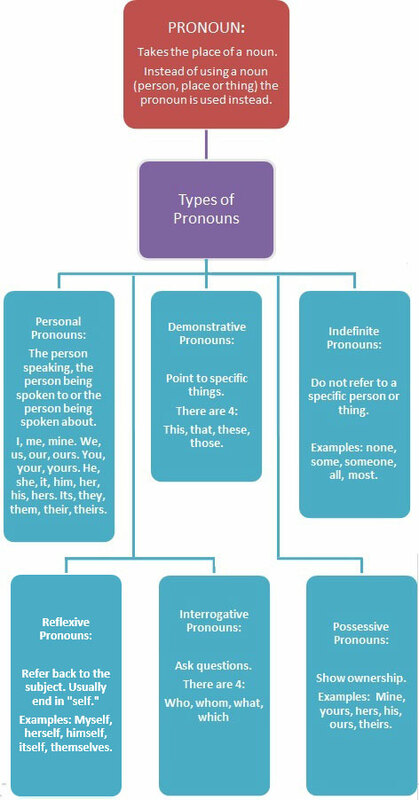 Adjectives modify or describe nouns as well as pronouns! Adverbs answer the question, "How?" Adverbs often end in ly . Good versus Well. Good is an adjective; well is an adverb. She did a good job (good is the adjective describing the noun job). The finer points of the preposition follow. The prepositions off, in, and to, are the most frequently used words in the English language. About, below, excepting, off, toward, above, beneath, for, on, under, across, beside(s), from, onto, underneath, after, between, in, out, until, against, beyond, in front of, outside, up, along, but, inside, over, upon, among, by, in spite of, past, up to, around, concerning, instead of, regarding, with, at, despite, into, since, within, because of, down, like, through, without, before, during, near, throughout, with regard to, behind, except, of, to, with respect to. The finer points of interjections follow. Interjections do not always have to come at the beginning of a sentence, although they often do. Sometimes they appear in the middle or at the end of a sentence as well. 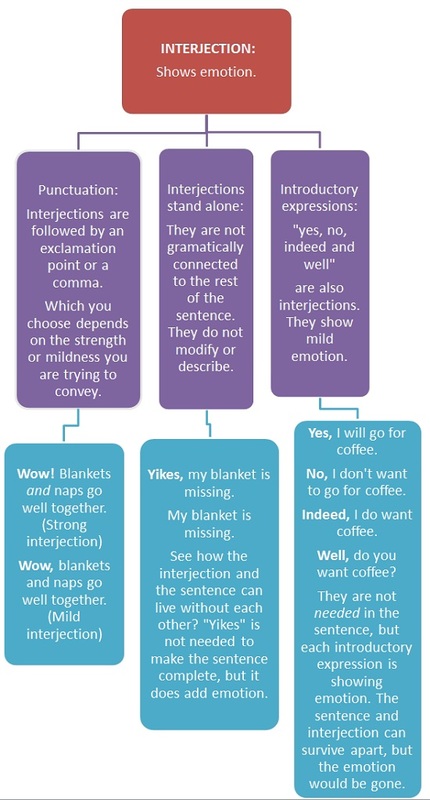 When interjections appear at the end or middle of the sentence, they should be punctuated with a comma or commas. Can you believe,oh boy , that it's raining again? Interjections can be sounds: Ouch! Ug! Eew! Phew! Shhh! Phew! The baby needs a diaper change. The baby pulled my hair, ouch! Interjections are like pepper; they spice up sentences and add mild or strong emotion to the overall meaning. Review Article: Adjective or Adverb? "All of the lessons were helpful. This online course really made me feel like I was in a classroom. 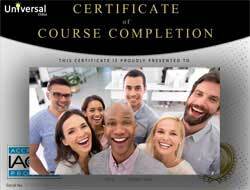 The instructor was great, and the lessons will motivate you to succeed." -- Renee B. "The instructor is such a lovely woman! She wants to help in any way she can! I can't wait to take another one of her classes! :)" -- Rebecca E.
"Most helpful were The Mechanics of the Sentence and Introduction to Punctuation because it was an area I needed to work on." 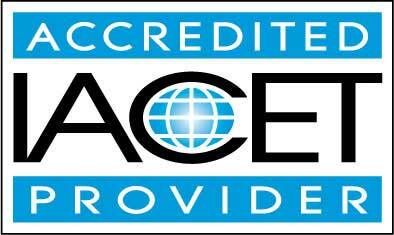 -- Robert C.
"Very knowledgeable and fast to return grades, etc. Lots of extra material was provided as online resources with easy to access links and lots of practice material." -- Dawn L.
"Instructor was very helpful." -- Lisa M.
"I found this course very helpful. I was born and raised in a non-English speaking country and never received any English lessons, ever. My biggest problem with the written English is sentence structure and punctuation. My instructor is wonderful, quick to respond to my e-mails with encouraging remarks." -- Hanna D.
"This instructor is very smart and helped me get through a very difficult class." -- Lisa G.